Last weekend we shifted to a new residence & now all city delights are more easily accessible to us. :) On Sunday we left home for a walk and ended up inside Joshi’s Museum of Miniature Railways. The Museum is hardly 500 meters from my place. I had read about it on the net but the experience can not be described by words. It was a reality with real looking trains & people, city, circus but still a show for 25 mins. Since we had not planned this, I didn’t carry my camera. Just for a smallest brief, Mr. Joshi started on this train journey with a hobby of collecting train models & from there on, it grew big. For the museum they have taken into account even smallest of details like material used for stairs, clock, etc. All 3 of us loved the experience. My only regret is not availing the head phones for English translation as I read the placard only towards the end. The entire script was in Marathi & went over my head. But I surely plan to re-visit the museum and enjoy once more. Over to baking! Being the season of Mangoes, any food blog or for that matter kitchen is incomplete without mangoes. So I lapped up the opportunity to bake a mango cake for the first time. It was a real learning experience. Since this was a new ingredient of baking so far for me, I started with zeroing on a cake using fresh mangoes and then I hit the search engine. 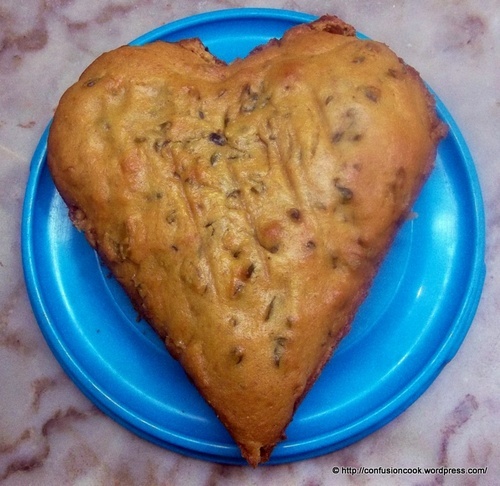 I came across many recipes, out of which I found Lata’s recipe very simple & easy to make. I wanted to go a step further & hence again googled for some sauce recipes to go along with it. 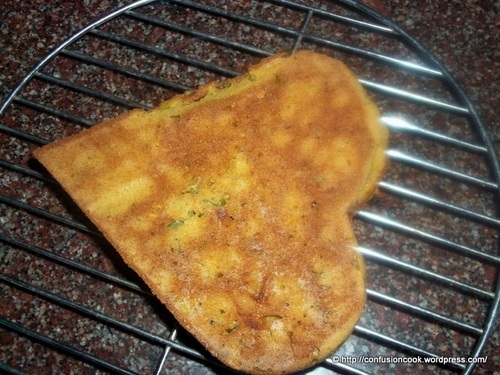 I again liked a very simple recipe on ehow. 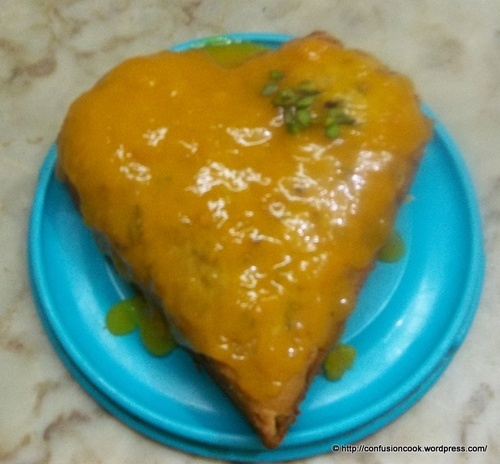 Mango Cake – I halved the recipe as I wanted to make only small cake. Since I was making this for my mom, I wasn’t sure how keen she would be for wheat flour, so I replaced it with APF. 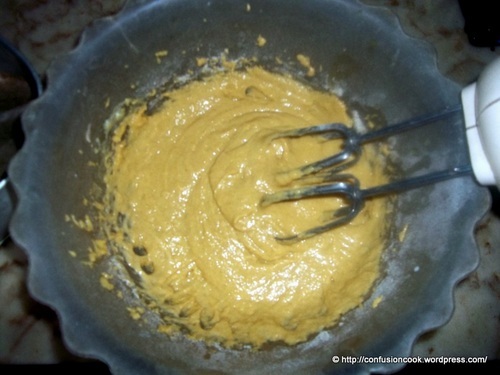 Also, I used combining dry ingredients, wet ingredients & liquid medium method to achieve my batter. Grease & dust the required pan with flour or line with butter paper. I used a small heart shape pan. Puree the mango pieces in a food processor. Sift together flour, baking powder, baking soda, milk powder 2-3 times. Beat oil & sugar together. Then add puree and curd to the mixture. Mix well. Lightly warm pista & coat in flour. This ensures that pista doesn’t sink. Now add dry ingredients to the wet ingredients. Using water to adjust consistency. In the end lightly fold in the pista. Pour into prepared pan & bake for 20-25 mins or until the toothpick comes out clean. Leave in the pan for 10 mins and cool on a wire rack. Then de-mould & cool completely. Peel & deseed mangoes. Puree the mango pieces in a food processor. In a heavy bottom pan, mix together all ingredients. Cook on low flame stirring often until the sauce reduces by one-third and begins to thicken nicely. Allow it to cool. Place cake on a decorating surface. Pour the sauce over the cake and garnish with some crushed pista. I felt the sauce was too sweet & less tangy. Next time I’ll decrease the sugar to 1/2 cup (or lesser) and increase the juice to 1/2 cup. As promised by Lata, the cake was really wonderful & every bite was mangoey. Sweet Sweet Mango!!! 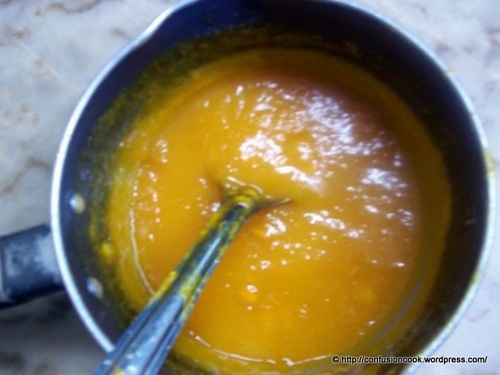 Do try this recipe to enjoy mangoes of the season.